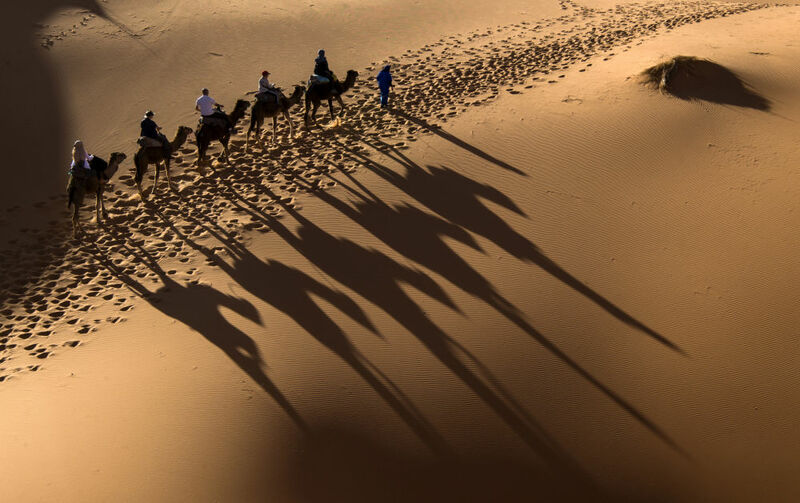 Camels walk on the sand during the "Gallops of Morocco" equestrian race in the desert of Merzouga in the southern Moroccan Sahara desert on March 1, 2018. 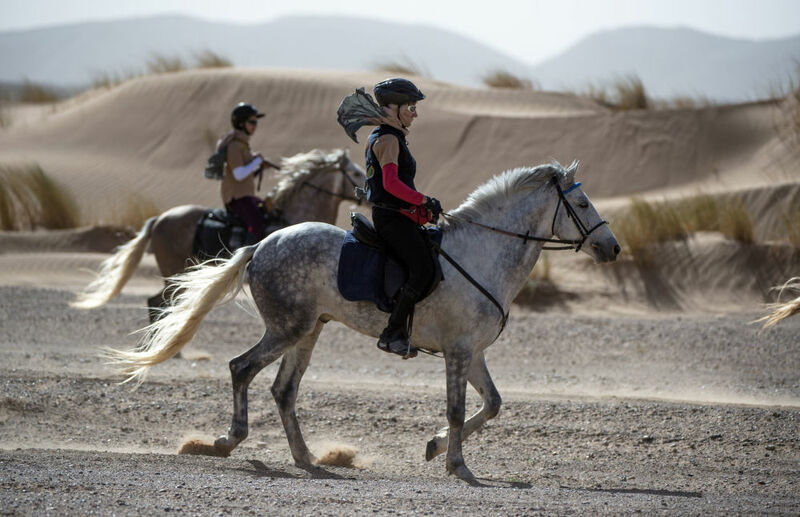 Riders from across the world gather in Morocco to compete in one of the most frantic races in the world. 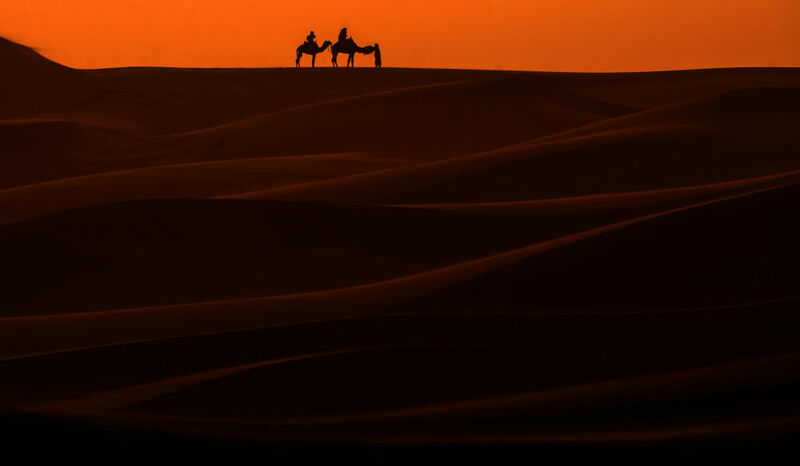 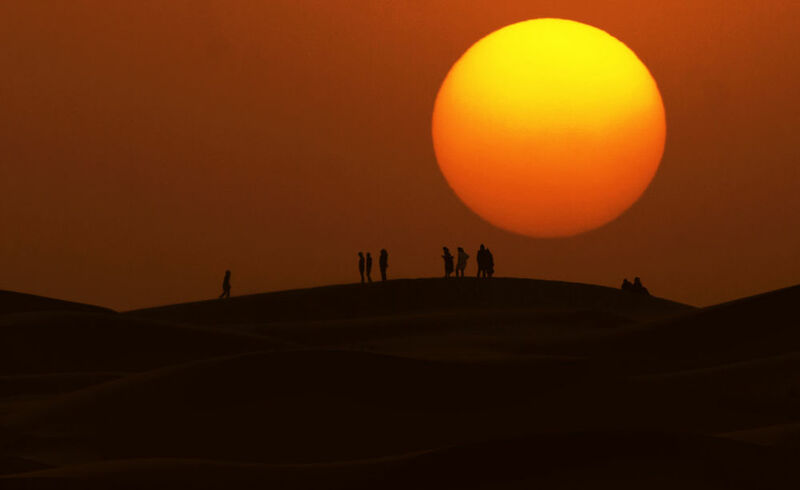 The "Gallops of Morocco" horse race takes place in the desert of Merzouga in the southern Moroccan Sahara desert. 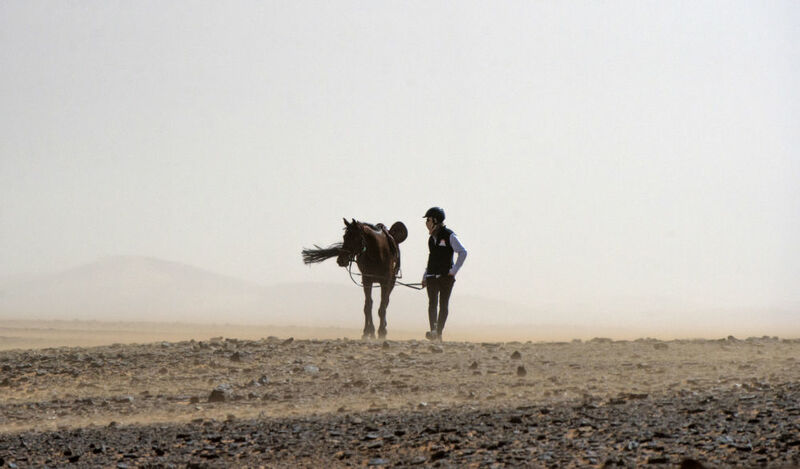 Competitors spend four to seven hours a day in the saddle, covering up to 30 kilometers (18 miles) of rough terrain a day.